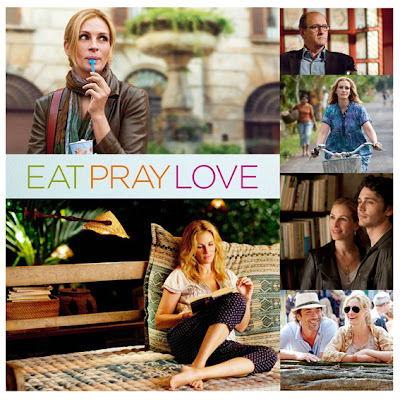 Eat, Pray, Love: One Woman's Search for Everything Across Italy, India and Indonesia is a 2006 memoir by American author Elizabeth Gilbert. The memoir chronicles the author's trip around the world after her divorce and what she discovered during her travels. At 32 years old, Elizabeth Gilbert was educated and had a home, a husband, and a successful career as a writer. However, she was unhappy in her marriage and often spent the night crying on her bathroom floor. She has an affair, during which she separated from her husband and initiated a divorce, which he contested. The affair continued for some time but did not work out, leaving her devastated and alone. While writing an article on yoga vacations in Bali, she met a ninth-generation medicine man who told her she would come back and study with him. After finalizing her difficult divorce, she spent the next year traveling. She spent four months in Italy, eating and enjoying life (Eat). She spent four months in India, finding her spirituality (Pray). She ended the year in Bali, Indonesia, looking for "balance" of the two and found love (Love) in the form of a dashing Brazilian factory owner.